Iritis is an inflammation that affects a part of the eye called the iris. The iris is the colored ring of tissue surrounding the pupil. Iritis causes varying degrees of redness of the eye often with considerable pain, sensitivity to light, tearing and blurred vision. The cause of Iritis is unknown but doctors suggest that it could be an infection of the eye or due to inflammation from trauma may cause Iritis. 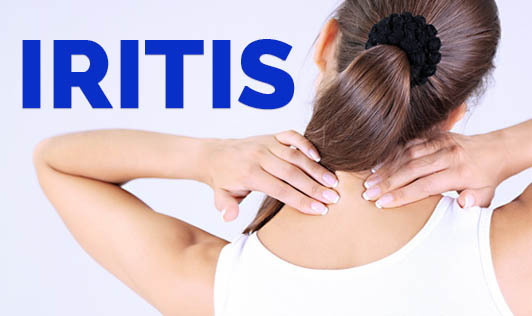 Sometimes, Iritis may also be a complication of many diseases such as Tuberculosis, Sarcoidosis, Lupus, Ankylosing Spondylitis, and Juvenile rheumatoid arthritis.